New Homes & Available Apartments! New Homes & Available Apartments! We are continuing to update and make the park a nice place to live. 1 home is recently remodeled and available for purchase, a 1 bedroom apartment, and 2 Studio apartments. Check out what's available now , click here for Homes for Sale and Apartments for Rent! Many Thanks to Bryr Driveway & Parking Lot Maintenance! 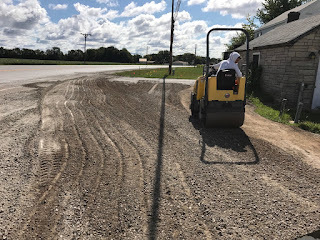 Wild Rose Mobile Home Park would like to send a many thanks to Brett and his crew at Bryr Driveway & Parking Lot Maintenance. They did a fantastic job of smoothing out our front entrance as well as helping to keep water away from our buildings. They were quick, on-time and provided more than expected! Thanks guys! You did a fantastic job! New Park Rules for a Better Community With the change of ownership of the Park on West Kimberly, there will be new leases and park rules. The onsite residential manager will be distributing the new leases and rules during the first week of September. Even though the new owners are doing a lot of repairs and improvements to the park, (including repairing the road, the sewer pipes, re-roofing the apartment buildings, and remodeling some of the apartments) the lot rent fee will be staying the same and will not be raised. The new owners hope to partner with the residents to create a wonderful place to live. Residents will be on notice to make sure lots are clean and mowed. The park will also be the eventual recipient of a unique program to help residents do repairs to their homes like re-roofing, painting, skirting, etc. This program is expected to be launched in 2018. Potholes to be fixed!When representatives from the company who was looking at buying the park visited in July, they asked tenants what's the main thing that really needs attention in the park. It was a loud and clear request for fix the potholes! Now that the park has officially transferred ownership, road work has been scheduled. On Wednesday, September 6th, 2017 a road crew will be fixing all the potholes in the entrance of the park. Although the work should not inhibit travel in and out of the park, residents are asked to be aware. 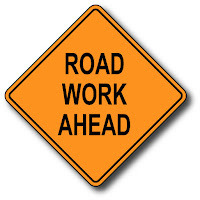 Please be cautious and courteous of workers - drive slowly with safety in mind for everyone. We want to have them back again when the road needs more work in the future! The Mobile Home Park at 4847 W Kimberly Rd, in Davenport, IA has received a new name in tribute to the state flower of Iowa. The new ownership decided on "Wild Rose Mobile Home Park." While delicate looking, the Wild Rose is hardy, beautiful and resilient - returning year after year. A Flower with History The Iowa legislature chose the Wild Rose to be the motif on a silver tea set presented to the U.S. Navy and used on the battleship Iowa in 1896. 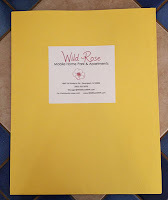 When the subject of choosing a state flower came up, advice was sought from the Federation of Women's Clubs in Dubuque, and everyone agreed that the attributes of the wild prairie rose fit perfectly--and on May 6, 1897 it was so designated by the state legislature. Instead of singling out a certain variety, since several species are native to Iowa, lawmakers choose to go with its common name of Wild Rose. It is also known as the Wild Prairie Rose. 4847 W. Kimberly Rd., Davenport, IA New Life for an older Park We are happy to announce that the Mobile Home Park at 4847 W. Kimberly Rd in Davenport Iowa is under new management and ownership as of August 21st, 2017. The new owners have promised to bring the community back to nice place to live. Repairs that are planned for the park on West Kimberly include: remodeling the old Brown's Motel into nice efficiency unit apartmentsre-roofing the buildings that require itfixing potholes near the entrancerepairing the waste water treatment plant and bringing it up to modern standards with environmentally friendly and DNR reccommended UV light bulbs instead of the old chlorination system. 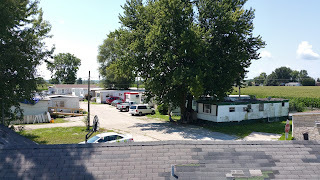 The new ownership for this eastern Iowa trailer park will be actively working with the residents at 4847 W Kimberly to make it a great place to live. Love our mobile home, that's just how we roll! Tranquil, debt-free, affordable living.